The commercial offer of Galeria Chełm has just been enriched with the new, prized brand – Pepco. The new store of this european discount chain with a diverse offer of several thousand products will be opened on the commercial space of 568 sqm. 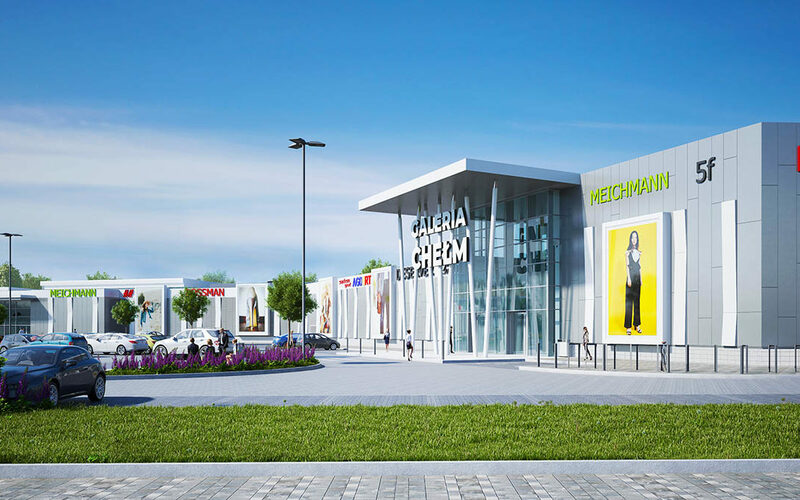 It will complete the comprehensive offer of the first shopping center in Chełm, developed jointly by Acteeum and Equilis. The dynamically progressing commercialization of the last available premises in Galeria Chełm resulted in the signing of the lease agreement with the PEPCO brand operator. The new store of this well-known and valued brand offering children’s, women’s and men’s clothing, underwear, toys, home furnishings and decorative items, will be opened in the retail premises of the area of 568 sqm. With its diverse offering and low prices, Pepco will meet expectations of customers, appreciating comfortable shopping in a relaxed atmosphere. Acteeum and Equilis, jointly developing Galeria Chełm project, are planning to open the Chełm facility at the beginning of 2020. The PEPCO chain doubles the number of stores each year. Our loyal clients are a factor allowing us to dynamically develop and improve our strategy. Choosing Galeria Chełm for the location of a new store is not accidental. Here, we have found the right space that allows us to maintain a high standard of sales and exposition, but also guarantees the proximity of other retail outlets, e.g. grocery operators with whom Pepco perfectly complements, creating a comprehensive shopping offer – explains Katarzyna Wilczewska, Head of Pepco Corporate Communication. PEPCO is a European discount chain offering clothes for the whole family and home products at the lowest prices. In Poland, the Pepco brand has been growing dynamically for over a dozen years, becoming the most popular retailer for children’s clothing and a leading supplier of decorative articles. It provides customers with the easiest access to all the products they need and desire every day to dress their families as well as decorate and maintain their hoses at the lowest prices. Pepco is also one of the most prized brands among clients and market experts. Proof of this are, apart from millions of shoppers in the stores, industry awards and distinctions, awarded for quality, popularity, trust and reputation. Among the tenants that will open their stores in Galeria Chełm are already such known brands as Lidl, CCC, SMYK, Rossmann, RTV Euro AGD, Martes Sport, Reserved, Sinsay, House, Cropp, home&you, Diverse, Swiss, Ziaja or Księgarnie Świat Książki. The commercialization level had already, a year before the grand opening, exceeded 75%.